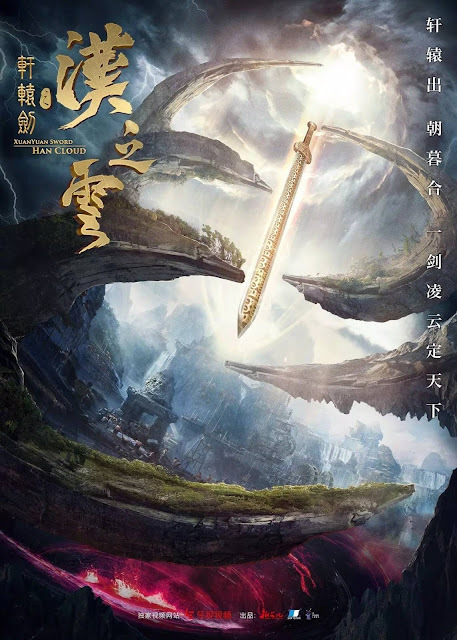 Xuan Yuan Sword: Legend of the Han Clouds 轩辕剑之汉之云 promises an intriguing story about brother at odds, love triangles and tons of high-flying action. It is the sequel to Rift of the Sky and even though I'm disappointed at the obvious absence of Hu Ge and Liu Shi Shi, it brings on a young cast of idols starring Leon Zhang, Alan Yu, Guan Xiao Tong, etc. 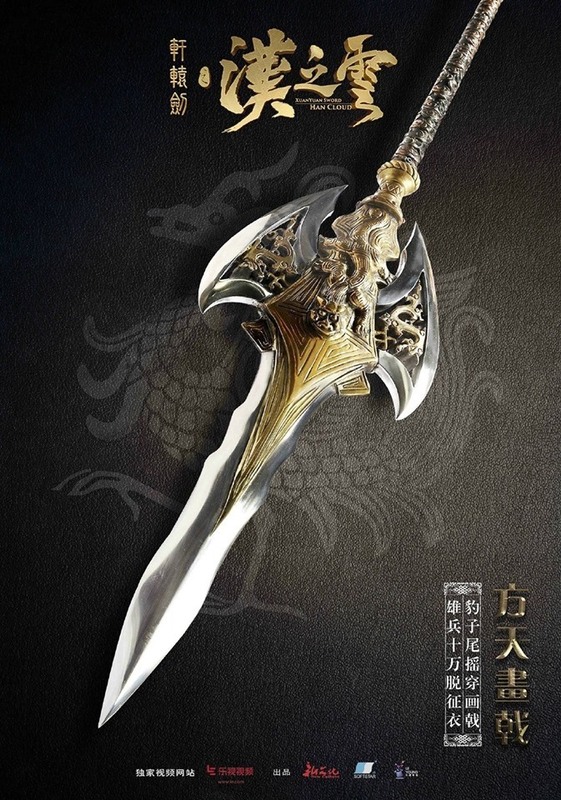 The Xuan Yuan Sword is a legendary weapon bestowed by the heavens that allowed the Xuan Yuan Emperor to defeat Chi You. It is a magnificent weapon meant to destroy evil and it is the most powerful of the ten great heavenly weapons. The story begins when the Xuan Yuan Sword is split into two to become Chao Yun and Mu Yun. Leon Zhang Yun Long (Tears in Heaven) is Chao Yun, a man who values camaraderie and justice. He was separated from his mother and brother when he was young and ended up joining the army to become the leader of the Winged Tribe. He is a brave handsome young hero who fights for the sake of the people. 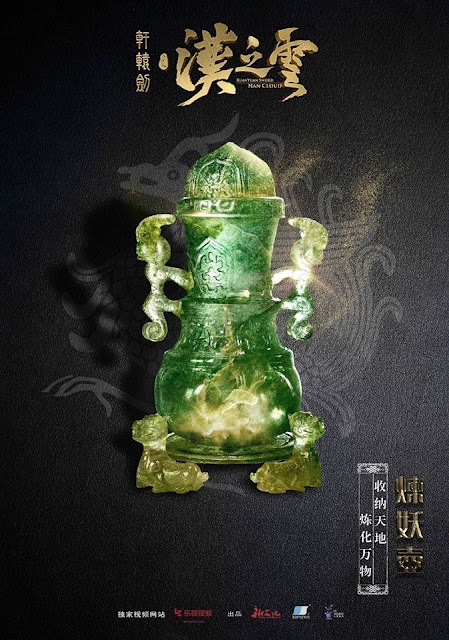 He wields Fang Tian Hua Ji, a weapon bearing the mark of a panther with a majestic grandeur that befits its owner. Alan Yu Menglong (Three Lives Three Worlds) is Mu Yun, Chao Yun's younger twin brother. 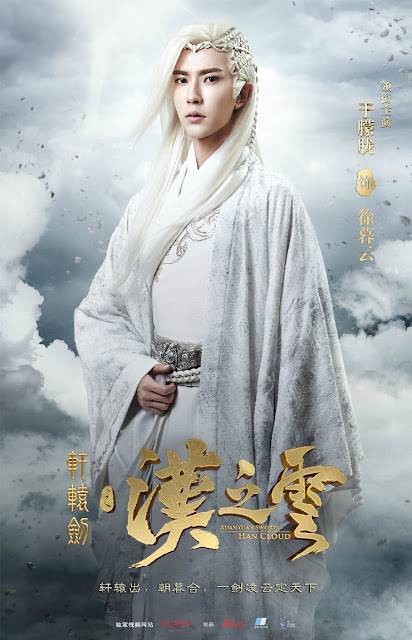 After losing contact with his family, Mu Yun becomes the disciple of a general of Xiao Yue. He is proper, respectful and trustworthy. He admires Zi Yi Jun Zhe, a person he considers to be like his real older brother and his only friend. He wields Feng Ri Ming Quan a sword that can level ten thousand miles. 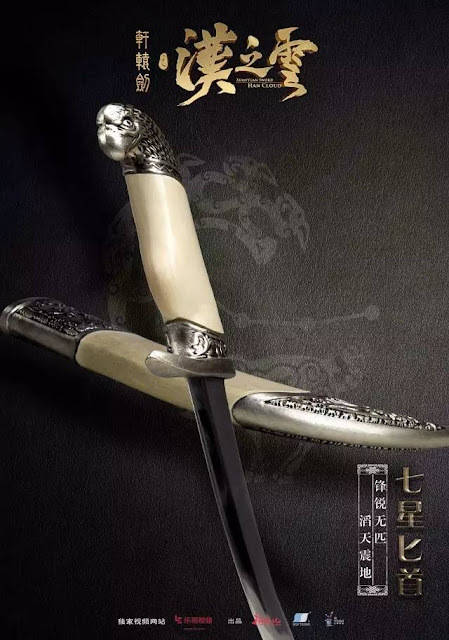 It is said that a legendary blacksmith made a pair of swords, one is Feng Ri and the other is Zhu Yue but both were lost for many years. Guan Xiao Tong (Novoland) is Ye Ya Xi, an young woman from Yi Zhou who is innocent and high-spirited. 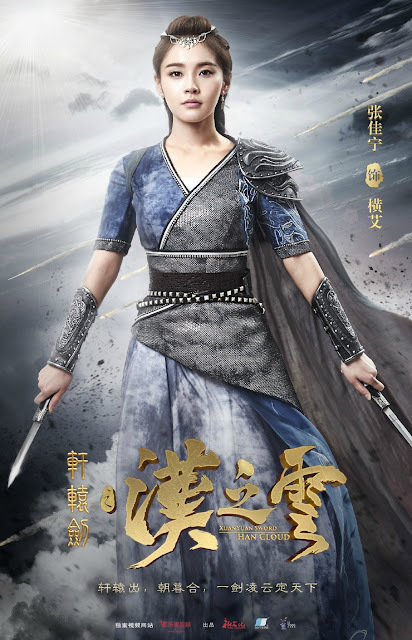 After her tribespeople are obliterated and her younger brother is forced into slavery, she is put on a pedestal as a princess of Cang Wu due to her special abilities. 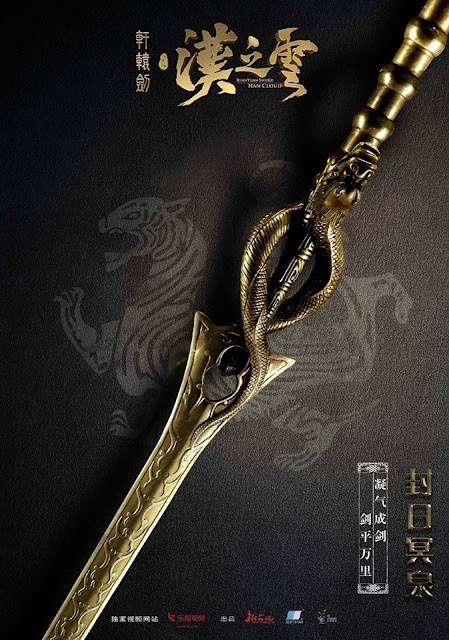 She wields the Seven Star Dagger, an incredibly sharp weapon with mysterious powers. It is said that a slight wave can cause a disturbance in heaven and earth. 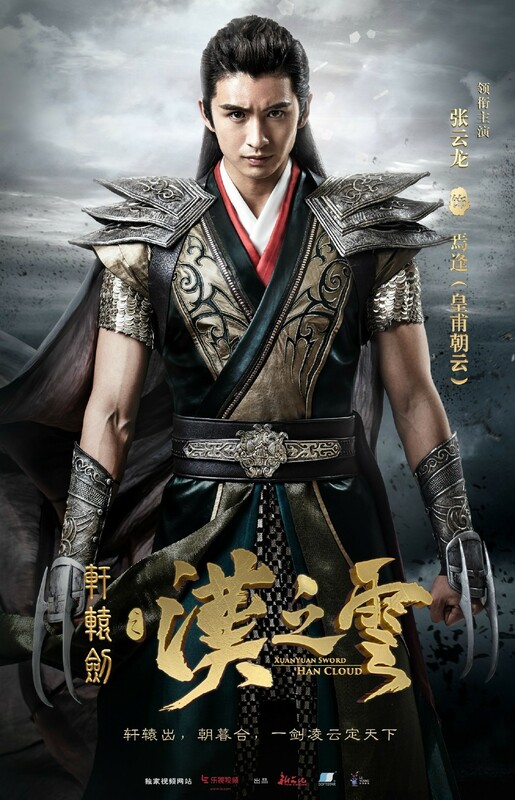 Zhang Jia Ning is Heng Ai, one of the four immortals. 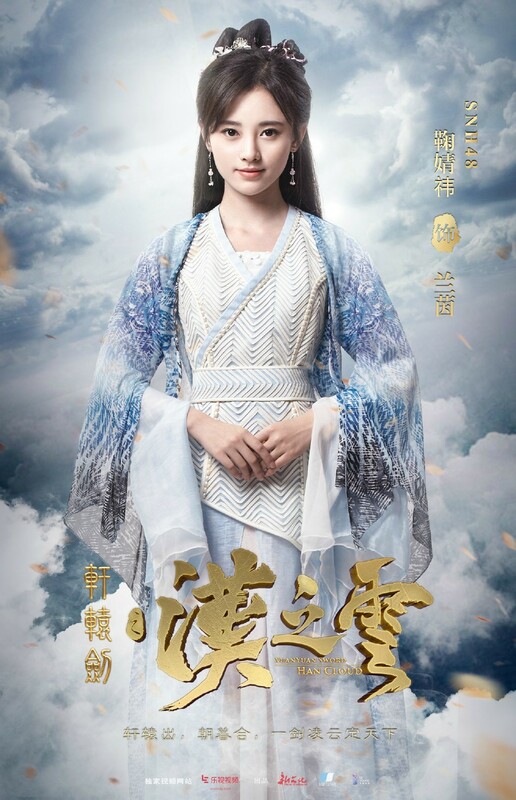 Hundreds of years ago, she was tasked to go to the human realm in search for the Xuan Yuan Sword but an incident causes her to lose her memories thus abandoning her mission. She is the owner of Lian Yao Hu, one of the ten great heavenly weapons. It may seem insignificant at first glance but it is a mythical object with the capacity to swallow heaven and earth. It can be used to create as well as destroy. 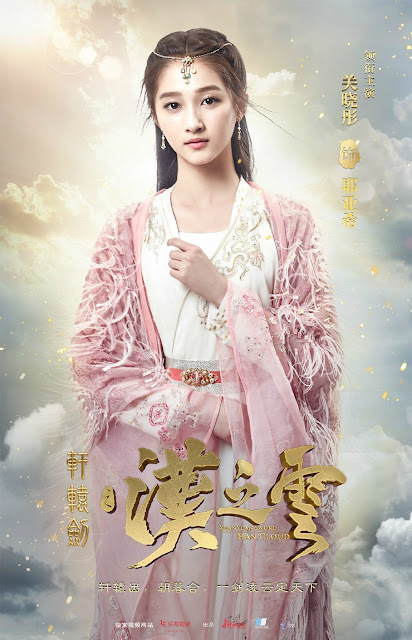 Ju Jing Yi (Novoland) is Lan Yin, a friendly and gentle mute who serves as one of the handmaidens in Zhang He Manor. She is Mu Yun's childhood friend and first love. 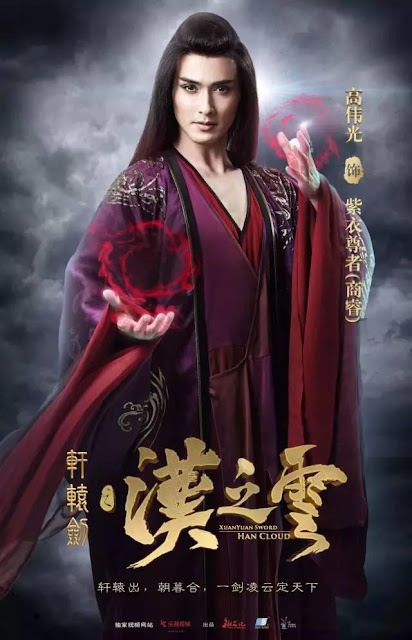 Vengo Gao Weiguang (Three Lives Three Worlds) is Zi Yi Zun Zhe, the elder brother of the Emperor of Xiao Yue. He does not care for rules or formalities. He is not skilled in martial arts nor magic but he has a talent for manipulation which he uses to further his ambitions. He only has eyes for Chi Yi Zun Zhe who is his one true love. Wow I thought I saw Ma Ke. Hope the drama airs soon.